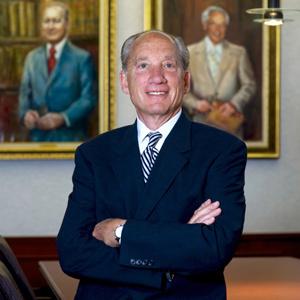 Richard B. Ansell is a senior partner and Chairman of the Personal Injury and Medical Malpractice Department. He specializes in civil litigation, particularly personal injury. Mr. Ansell is Certified by the Supreme Court of New Jersey as a Civil Trial Attorney, and has been the attorney responsible for major Supreme Court and Appellate Division decisions in the areas of medical malpractice and products liability, among others. Mr. Ansell received his B.A. and J.D. from the University of Virginia. He is admitted to practice in the State of New Jersey as well as, before the Supreme Court of the United States of America; United States Court of Appeals for the Third Circuit; and the United States District Court. Mr. Ansell is a past member and Chairman of the District IX Ethics Committee, a Master of the Haydn Proctor American Inn of Court, a sustaining fellow of the Roscoe Pound Institute, a senior counsel member of the American College of Barristers, a member of the Million Dollar Advocates Forum, a member of the American Association for Justice and the New Jersey Association for Justice and member of the New Jersey State Bar Association and Monmouth County Bar Association. He has lectured in the fields of negligence law, products liability law, medical malpractice, accident and personal injury and trial techniques. Mr. Ansell has actively served in many civic, charitable and religious organizations. Mr. Ansell was named a New Jersey Super Lawyer in 2017.